The Muse headset, launched by Canadian company InteraXon last July, is a slim, rather stylish, wearable EEG headset to monitor brainwaves and deliver mental training. And what is really striking, as interested parties buzz round InteraXon’s stand at the Wearable Technology Show in London, is that ordinary wearers look futuristic [YouTube demo with Ariel Garten], as opposed to foolish. This is no mean feat when you consider individuals are wearing a silly plastic headband. 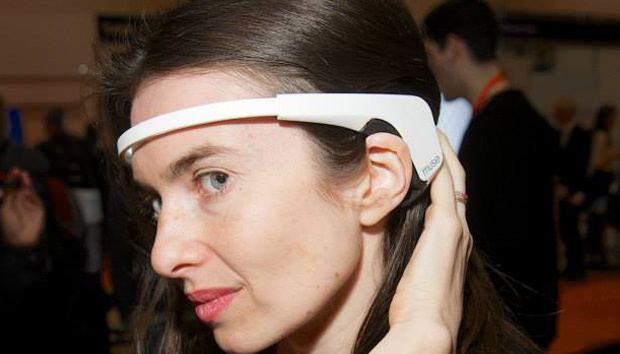 And yet, that this is probably the most attractive EEG headband on the market will probably come as little surprise once you realise co-founder and CEO, Ariel Garten, is the daughter of artist Vivian Reiss who has worked as a fashion designer and pioneered wearable clothes over a decade ago. InteraXon raised $6 million Series A round funding in 2013 and told Fast Company earlier in the month that it is about to close a “significant” Series B round. The success of this elegant approach to technology tallies with Beecham Research, released last year, which suggested that wearable tech will triple its value by 2018 through collaboration with fashion designers. Brain tech itself is a rather odd, niche space. EEG technology has been in use medically since the 1920s. But in a hospital setting it utilises over a hundred sensors to map brainwaves which leaves patients stuck in a hospital covered in wires. And although more ordinary, wearable versions have also been pioneered for some years, they are only just becoming widely known to the general public. This makes the brain the final phase of the quantified self as the public gradually gets used to wearing technology and tracking its own data. The three main competitors in this space at the moment are Emotiv, which has just released its own consumer headset, the Insight (for around the same price as Muse) and NeuroSky, which offers a much cheaper headset (under $100). 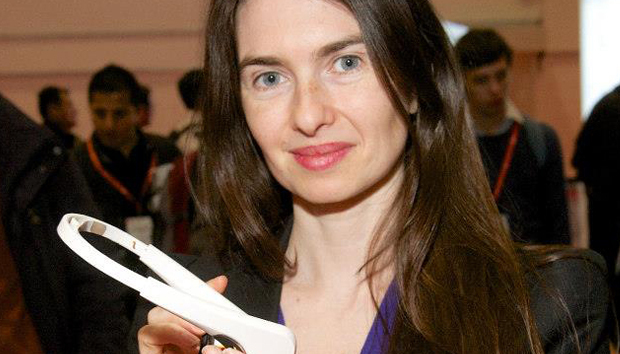 Muse (and Insight) boast multiple sensors and Garten - who double-majored in psychology and biology at the University of Toronto and also ran a psychotherapy private practice - is keen to stress Muse is “clinical grade EEG in a consumer form factor” which can be used in numerous research situations. Muse comes with just one app attached – Calm – which guides users through focused attention training exercises. Interestingly, pushing a single app may prove a rather savvy strategic differentiator for this company. The website is keen to highlight the range of benefits this training brings, without complicating matters with too much choice. It provides meaningful information says Garten, people are using it “five times a day”. The real trouble with brain tech though is it is extremely confusing. It baffles people. Many experts still don’t fully agree on the workings of brain. And most ordinary individuals don’t have the first clue. In reality, brain signals are very weak and pinpointing sensors is actually quite difficult. Current consumer headsets only have ‘dry sensors’ which do not go through the hair. On top of this, a variety of different apps can track, manage and visualise information in a variety of ways, but if people don’t really know what it all means to start with it can add yet another layer of complexity. “Educating people is 100% our responsibility,” agrees Garten. Yet she is adamant that the type of data produced will not allow people to self-diagnose erroneous medical issues via Google. The information is far “too complicated” for that, she stresses. Outside the consumer space Muse is currently used in around 50 medical and research institutions and Garten says she is “constantly surprised” by its range of application. At present it is being used in ADD patients and to track the mental patterns of people before and after surgery amongst a variety of other uses. Garten feels the trajectory for her company and this type of tech is clear. In 12 months Muse will be a common name with 100,000 shipments and a proper an ecosystem in place. “In five years the form factor [of EEG devices] will be very different”. And in the longer-term brain technology will be a “natural part of the sensor suite”. As things become more integrated “tech can disappear more,” she explains. This could have a lot of negative implications but Garten is extremely resolute: “We are only interested in things that are going to make the world better”. And the company is “very against neuro marketing”. “The humanity is really important,” she concludes. Through training our minds we can make ourselves better people.